Mr. Fischer is a corporate financial, accounting, and governance consultant of Fischer Financial Consulting LLC, since 2002. 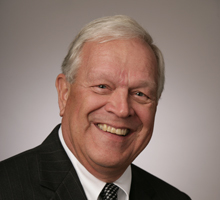 He is the retired Deputy Managing Partner for the Great Plains Region of Arthur Andersen, LLP (an accounting firm), where he worked from 1969–2001. Mr. Fischer has a B.A. in Accounting from Notre Dame, and he serves as a director of Badger Meter Inc. and WEC Energy Group. He previously served as a director of Actuant Corporation from 2003–2017. Mr. Fischer has been a director of Regal since 2004.